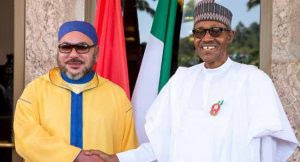 King Mohammed VI of Morocco congratulates President Buhari on his successful return from medical trip – Royal Times of Nigeria. King Mohammed VI of Morocco has congratulated President Muhammadu Buhari on his successful return from his medical vacation in London. This was made known according to a statement issued by the President’s spokesman, Mr Femi Adesina. The Moroccan monarch in a telephone call on Thursday expressed delight and happiness at the kind of reception Nigerians gave President Buhari when he returned home, stating that the reception showed the evidence of a leader widely loved by his people.